Born Free is appalled to hear that a snow leopard named Margaash has been shot dead after escaping from Dudley Zoo, in the West Midlands, UK. Dr Chris Draper, Born Free’s Head of Animal Welfare & Captivity, said: “While this is a sad incident that is undoubtedly very distressing to those who cared for Margaash, it brings into sharp focus – once again – that zoos simply cannot guarantee the safety of people and their animals. "It is perhaps all the more tragic when you consider that Margaash was destined to live and die in captivity, far removed from his natural range and habitat. 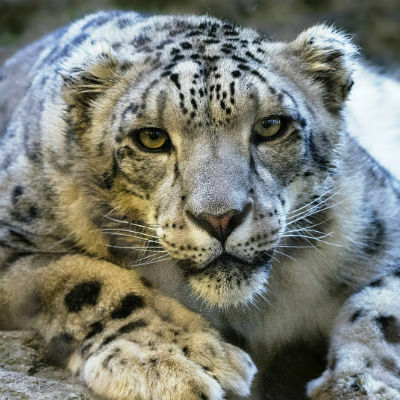 There will be those who claim that zoos contribute to conservation: whether or not these claims hold water – and I am not convinced that they do – the life and death of a snow leopard at Dudley Zoo should serve to remind us just how we are failing wild animals wholesale, both in captivity and in nature,” he added. In the wild, snow leopards are generally solitary and secretive cats inhabiting mountainous areas of Central Asia, where males have an average home range size of 77 square miles: completely incompatible with life in captivity. Born Free is calling for an urgent inquiry into this incident, and for the system of licensing and inspection of zoos to be reviewed and overhauled to prevent a similar tragedy in the future.